Clay Aiken – A Double Celebration! Today is the 2nd Monday of October. For most of the world, it is just another day, but for the majority of North Americans, the day is important. If you live in the United States, you are celebrating Columbus. But right above the USA, the citizens of Canada are celebrating Thanksgiving Day! The very first Thanksgiving celebration in North America took place in Canada when the English explorer Martin Frobisher, arrived in Newfoundland in 1578. He wanted to give thanks for his safe arrival to the New World. This means the first Thanksgiving in Canada was celebrated 43 years before the pilgrims landed in Plymouth, Massachusetts! Thanksgiving for Canadians is about giving thanks for the harvest season rather than the arrival of pilgrims. Canadians celebrate Thanksgiving with parades, family gatherings, pumpkin pie and a lot of turkey! Columbus Day is a holiday in honor of the explorer, Christopher Columbus, who first came to the New World on October 12, 1492. 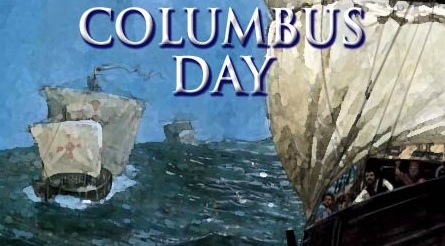 Since 1920, Columbus Day has been an annual holiday. Actually, Columbus wasn’t the first person to visit America so some people call the holiday Native American Day or Indigenous Peoples Day since Native Americans lived in North America long before Columbus came along. Columbus Day is a day to kick back and watch a parade or just enjoy some family time on a well-deserved day off. If you are in New York City, the Columbus Day Parade is held today, October, 9, 2017 at 11am. Leonard Riggio, the founder and chairman of Barnes & Noble, is this year’s Columbus Day Parade Grand Marshal. The parade marches up Fifth Avenue from 44th to 72nd Sts. There’s red carpet performances on Fifth Avenue between 67th and 69th Sts. If you happen to live in New York City, you might want to attend the 73rd annual Columbus Day Parade in New York City. It will celebrate Italian-American heritage with more than 35,000 participants and over one million spectators. I wonder if Clay Aiken will watch the parade! 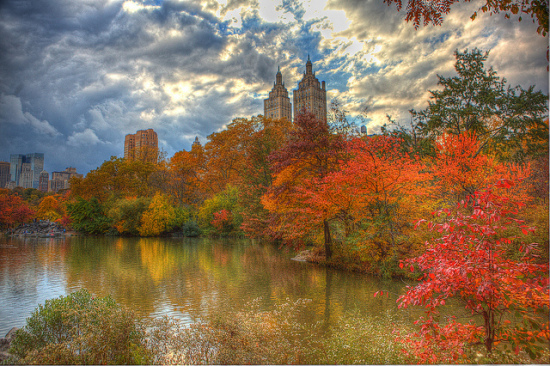 and enjoy the beauty of the fall colors! Do you remember when Clay was featured on the Canadian TV show called E-Talk Daily? It was broadcast on October 10, 2005, however Clay taped it when the Jukebox Tour visited Toronto. I wonder how Clay will spend the day, also. That is not new for me – I wonder that on many days. The important thought is that they are fulfilling days and they are joyful – at least most of them. Thank you so much for all of the info about the celebrations of today in the U.S. and Canada. 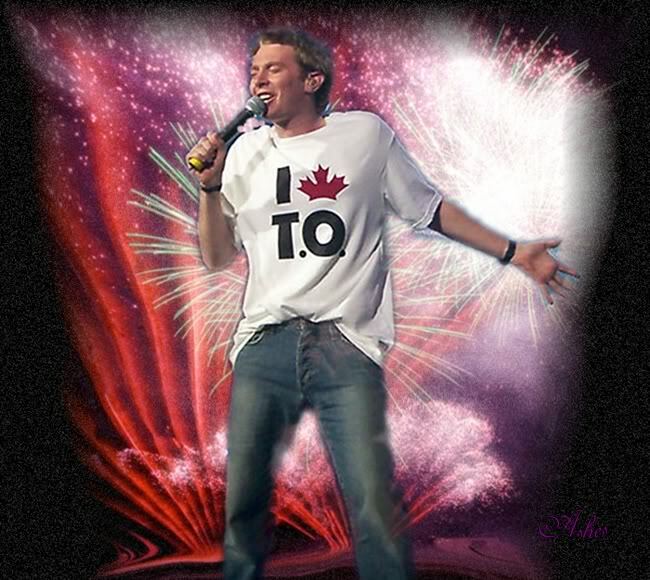 Loved the video of Clay singing in Canada, too! Lots of important information about the holiday of Columbus Day. Clay sure did please the Canadian audience with the Canadian Anthem. Important info on Thanksgiving as well. Maybe Clay will tweet about the parade if he watches it. That would be great. Thanks musicfan. Good job as usual. ❤️ UNCONDITIONAL love for you Clay. God bless America. I love Canada's national anthem; very personable and beautiful lyrics. The audience were in awe of Clay's performance! Error: Error validating access token: Session has expired on Tuesday, 21-Aug-18 16:13:01 PDT. The current time is Sunday, 21-Apr-19 21:35:17 PDT.